U.K. music thrives on diversity. Let’s stop giving power to a ceremony that refuses to reward it. Look around. We are in a golden era of black British music. Yet the U.K.’s biggest awards ceremony, the BRITs, is staring in the opposite direction. At last year’s event, this became particularly and painfully obvious: 2016’s BRIT awards only nominated one BAME act (production trio Disciples) except for those in the international categories. Like the Oscars before it, the BRITs reacted last year by revamping its voting academy. Members were cut, ethnicity and gender balances were addressed, and Stormzy was called in to advise. For a brief moment it seemed like progress was afoot. This year’s nominations were announced and they were truly good. Stormzy was nominated for Best British Breakthrough, Kano and Skepta for Best British Album and Best British Male Solo Artist, and NAO and Anohni for Best British Female Solo Artist. Yet, whoever imagined that neat and just story of reconciliation must have forgotten to send the script to the BRIT Awards organizers. On a monotonous and sterile night at the 2017 ceremony, on February 23, major label artists took home every single British award, and grime was unrewarded. David Bowie, who passed away in January 2016 and was celebrated emphatically last year, scooped up more trophies than all British BAME artists put together. 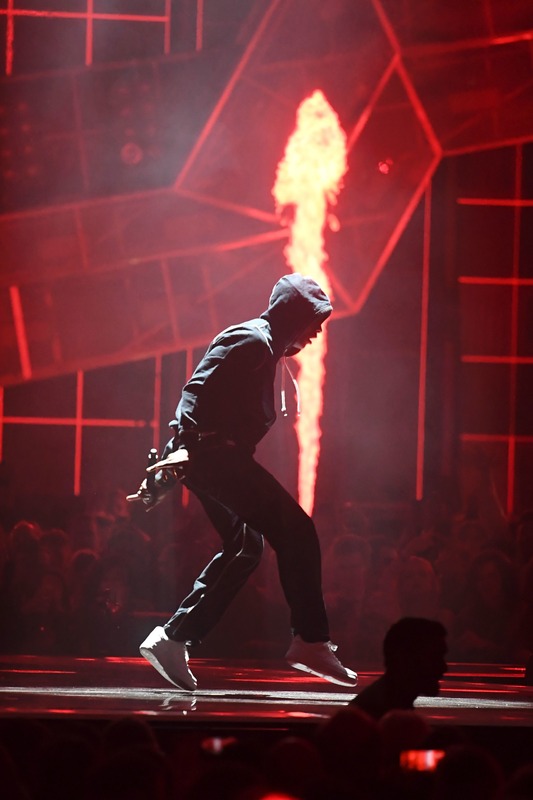 By the end of the show, it felt fair to wonder whether the BRITs's much-touted plan to diversify was just an intentional and tokenistic ruse to curry favor with earnest music fans and make us all naively tune in, drum up the viewing figures, and send the hashtags to the top of Twitter trending charts. 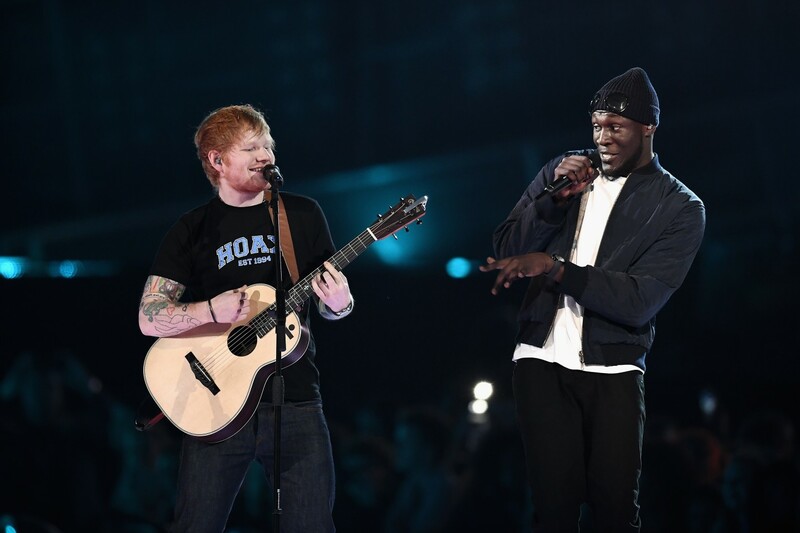 Stormzy, who was beaten to Best British Breakthrough by Sony Music artist Rag’n’Bone Man, almost didn’t make it onstage at all, until he was invited up by Ed Sheeran towards the night’s end to drop bars over a thumping remix of “Shape Of You.” In truth, perhaps it was a mistake to hope that he would ever win Best British Breakthrough. The BRIT Awards is a major label celebration of major label success, managed and organized by major labels. These ceremonies are about money, champagne, luxurious goody bags, and 200% record sales spikes. They are for congratulating the stars who tow the line, obey the rules, do the co-writes, and sign the contracts. Stormzy is a completely independent artist who has succeeded by setting traditions on fire. For the BRITs to give him one of the night’s most prestigious awards would be to declare their own irrelevance and powerlessness. So why do we repeatedly look to these dinosaur-like corporate institutions to reflect the beating heart of contemporary culture, when that is not what they are created for? Do we really want to see artists whose work we value for its passion and independence put on a pedestal by these mundane spectacles? Slung onto prime time television to walk the red carpet with reality stars, and perform next to Mastercard logos? Grime is club music; it is not made to speak to men in tuxedos and women in £5K ball gowns seated at dinner tables. Maybe if we truly considered what recognition means, we’d abandon investing our energy in The BRIT Awards. We’d realize that British culture is winning, and will continue to thrive. Skepta's Konnichiwa was certified gold, without him signing to a major label. Little Simz is being flown to America to perform with Lauryn Hill. Stormzy has two gold and silver certified singles, independently releases his highly anticipated album this month, and has an aim to elevate and empower “young black kings.” Giggs sent his Landlord album to number two the UK albums chart all by himself. Drake, one of the biggest male artists on the planet, fawns over Wiley, Section Boyz, and Dave. What more do artists need than the unstoppable support of their fans and respect of their fellow artists? It is vital for young BAME kids to see themselves reflected in the upper echelons of success, as Beyoncé amplified in her Grammys acceptance speech. It’s essential they see themselves in the mirror of pop culture and know that opportunities exist in society for them to excel, and we can’t allow that reflection to be forever white-washed. But there are mirrors that reflect culture accurately, and those that give a distorted picture of it. “Go where you’re celebrated and not where you’re tolerated,” is how the old saying goes, or as Solange recently put it after the Grammys: “Be the gold you wanna hold.” It’s about time British artists and music fans stopped looking to vacuous corporate ceremonies for inclusion and validation. Let’s refuse to give them the gravitas that they never earned. We are far more powerful alone.